Naby Keita hasn’t hesitated in showcasing the work ethic engrained in Liverpool’s extensive efforts to sign him. The Guinean was unveiled as a Red on Thursday and will officially sign upon the turn of the month on Sunday in accordance to the deal that was agreed in principle last summer. 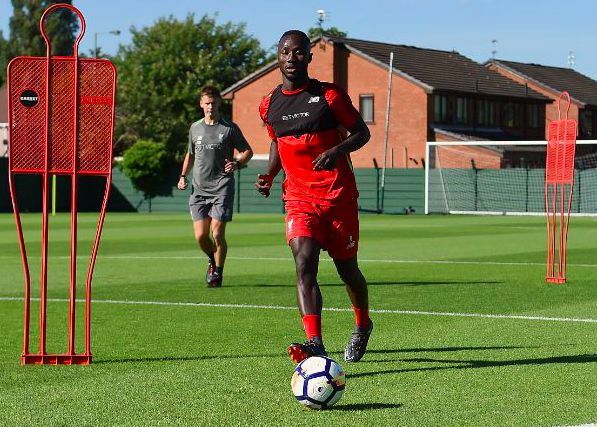 Keita somewhat defied tradition for a new signing on their first day by asking to take part in a light training session at Melwood. It served as yet another beacon of reassurance that the former RB Leipzig man will represent money well-spent and a worthy candidate to wear the famous no.8 shirt. The 23-year-old gleams as one of the most highly-anticipated signings in the club’s modern day history, teasing a monumental boost to Liverpool’s Premier League title ambitions. For the midfielder to be handed Steven Gerrard’s former shirt by the legendary skipper himself typifies the high expectations resting on his shoulders. Keita’s admission that he prioritises his defensive responsibilities first has previewed an integral role in leading Liverpool’s explosive transition from defence to attack. A first chance to see him do just that could arrive as early as July 7, when Liverpool start their pre-season away to Chester.